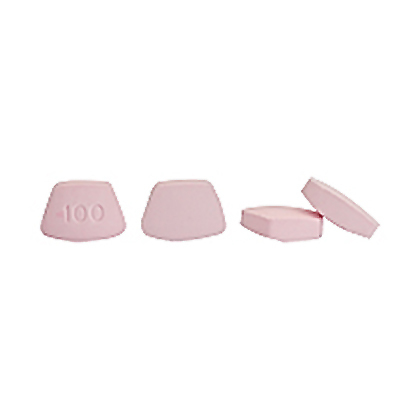 Fluconazole is an antifungal medicine in tablet form that is used to treat a variety fungal infections, including yeast infections. It is typically used to treat skin infections, and more intense fungal infections of the lungs and other organs that can occur after your pet inhales fungus from infected soil. Fluconazole is often used in pets who have been unable to tolerate other types of antifungal medication. It is also used for difficult-to-treat fungal infections, such as those that have spread to internal organs. 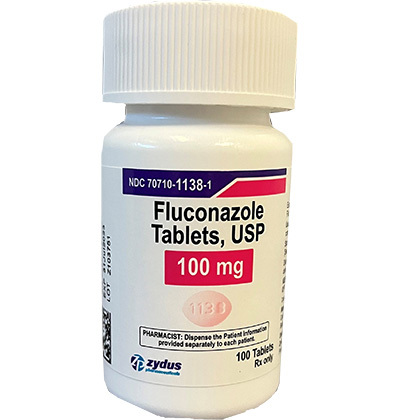 Fluconazole is an antifungal used to treat systemic fungal infections such as cryptococcal meningitis, blastomycosis, and histoplasmosis. Fluconazole may also be used in treating fungal infections of the skin such as superficial candidiasis, or ringworm. Fluconazole may be used for other purposes than those listed here. Fluconazole is sold per tablet and requires a prescription from your veterinarian. NOTE: Ketoconazole is also available for treatment of fungal infections. Fluconazole can interact with many other drugs. It is important to tell your veterinarian about any other medications, vitamins, or supplements your pet is taking before giving fluconazole to your pet. Do not give to pets who have liver disease or impairment. If your pet has kidney disease or kidney failure, discuss the risks versus benefits with your veterinarian before giving fluconazole. Do not give to pregnant pets or pets that are nursing unless your veterinarian says the benefits outweigh the risks. Do not give fluconazole to any pets who are sensitive or allergic to other "azole" antifungal medications, such as ketoconazole. If you have any concerns about this medication, talk with your veterinarian before giving it to your pet. What is the most important thing I should know about fluconazole? Fluconazole is not FDA approved for use in veterinary medicine; however, it is a commonly accepted practice for veterinarians to use this medication in dogs and cats. What should I discuss with my veterinarian before giving fluconazole to my pet? Do not give this medication if your pet is allergic to fluconazole or other azole antifungal agents. Do not use fluconazole if your pet is pregnant unless the benefit outweighs the risk. Tell your veterinarian if your pet is allergic to any medications, or if your pet has liver disease or kidney disease. How should fluconazole be given? Give fluconazole exactly as it was prescribed by your veterinarian. Do not give in larger amounts or use it for longer than recommended by your veterinarian. Follow the instructions on the prescription label. If you do not understand these directions speak to your pharmacist or veterinarian. The usual dose of fluconazole in dogs can vary from 5.5 mg to 22 mg/lb of pet's weight every 12 to 24 hours, depending on the condition being treated. The usual dose in cats is typically 50 mg once a day. The actual dose and duration of treatment depends on the specific condition being treated. Fluconazole should be given to your pet for the entire length of time prescribed by your veterinarian. Treatment with fluconazole may take several months and improvement may not be seen for one or two weeks after treatment begins. Your veterinarian may want to perform blood tests on a regular basis to make sure the medication is not causing harmful effects. What are the potential side effects of fluconazole? What happens if I miss giving a dose of fluconazole? What happens if I overdose my pet on fluconazole? Seek emergency veterinary medical attention if you think you have used too much of this medication. Symptoms of overdose may include loss of appetite, vomiting, jaundice, depression, tiredness, anemia, or a skin rash. What should I avoid while giving fluconazole? Do not use fluconazole in animals with liver disease. Use with caution in pets with kidney disease. Do not use in pregnant pets unless the benefit outweighs the risk. What other medications will affect fluconazole? Tell your veterinarian if your pet is using any of the following medications: Buspirone, cisapride, cyclophosphamide, cyclosporine, thiazide diuretics (Dyazide, Diuril), NSAIDS (Rimadyl, Novox), theophylline/aminophylline, tricyclic antidepressants (clomipramine, Clomicalm, amitriptyline), sulfonylurea ant-diabetics (glipizide, glyburide), warfarin (Coumadin). There may be other drugs not listed that can affect fluconazole. Tell your veterinarian about all prescription and non-prescription (OTC) medications, including vitamins, minerals, herbal products, and drugs prescribed by other veterinarians. Do not start using a new medication without telling your veterinarian. You may not notice a visible improvement until you've been treating your pet for 1 to 2 weeks, and you may need to treat your pet with fluconazole for several months. Make sure you continue giving the prescription to your pet until the end of the treatment regimen unless your veterinarian specifically directs you to discontinue giving fluconazole. Your pet may feel better, and you may notice an improvement in visible fungal infections before the treatment has ended, but it's important to complete the treatment to prevent a relapse and to prevent the possibility of future resistance to fluconazole or other antifungal medications. Dosage and how frequently you will need to administer the medication depends upon the particular infection being treated. Follow your veterinarian's instructions. Store this product at room temperature in child-proof containers. Keep out of reach of children and pets.